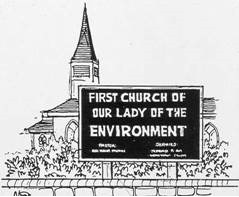 Global Environmentalists Using Catholic Church To Promote Their Climate Change Agenda. Its scary to see just how far these people are willing to go to finalize this agenda! Climate Objective Contradicts Catholic Doctrine.